A dissident faction of demobilized rebel group FARC has told tourism providers in southern Colombia they are no longer allowed to work in the region, according to newspaper El Espectador. 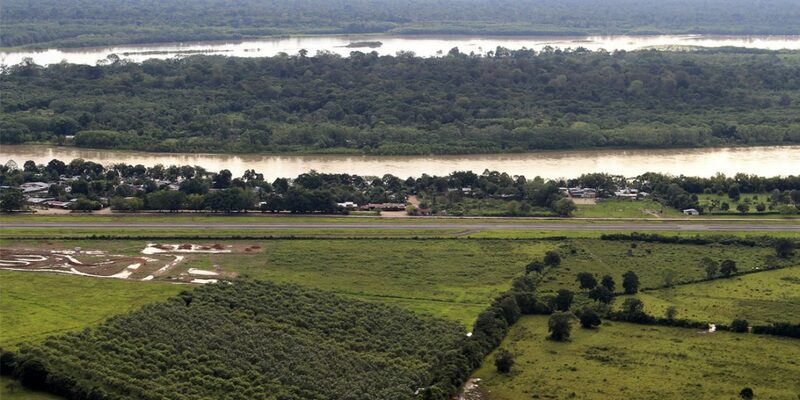 A tourism operator who asked to remain anonymous told the newspaper that he and his colleagues were only allowed to work in the area around San Jose del Guaviare, the capital of the Guaviare province, until Easter later this month. According to the anonymous tour operator, the ban on tourism in the area around San Jose del Guaviare was imposed by members of the Southeastern Bloc, the largest of FARC dissident groups. They told us that no one else could come in and that they will let us work only until Easter. Then we’re going to have to talk to those people to find out when they’re going to give us permission again. The ban would mainly affect tourism at the Serrania La Lindosa, one of the country’s most important archaeological sites with rock art dating back as far as 12,000 years. The tourism operators will not hesitate to obey the FARC dissidents’ orders. “You don’t play with them,” the anonymous tourism operator explained. Guaviare is the center of operations of the First Front, the unit of “Gentil Duarte,” who refused to accept a 2016 peace deal with the government and has since joined forces with other dissident commanders to form the Southeastern Bloc. The power of the group has inflated substantially as ongoing failures by the government to execute the peace deal spurred hundreds of demobilized FARC members to rearm. The groups by Duarte and his fellow dissidents are active in the south and southwest of Colombia where they have taken control over the criminal rackets abandoned by the FARC after a bilateral ceasefire in mid 2016.